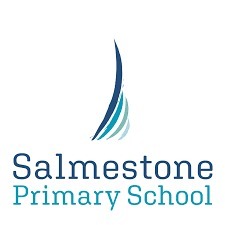 Salmestone Primary School is a two-form entry primary school with a nursery for 3-11 years old and has over 470 pupils based in Margate, Kent. We aim to ensure that all pupils experience high quality and purposeful teaching and learning - encouraging and enabling all pupils to achieve their potential. Engaging everyone in a happy, safe environment, we embrace a love of learning to develop a community of confident, independent learners for the 21st Century.